As election fever rises, so does the anxiety of ticket seekers. The Bharatiya Janata Party (BJP) President Amit Shah was in hospital suffering from flu but even here, people wanting to press their claims for a BJP nomination in the Lok Sabha simply wouldn’t stop calling on him. 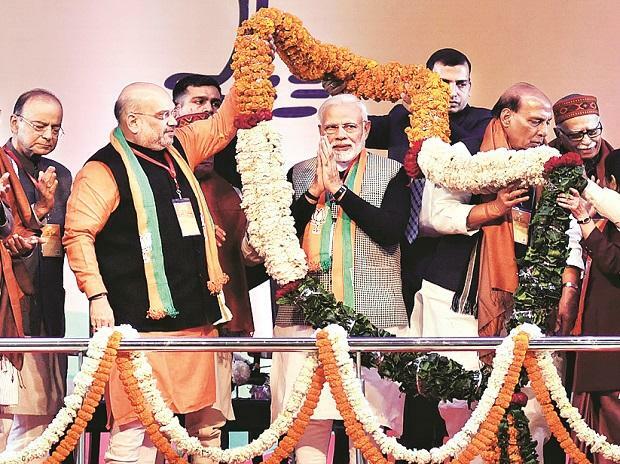 The BJP is facing a funny kind of problem: Following announcements by a handful of its senior leaders that they would not fight the Lok Sabha elections, the party is besieged with people wanting to become their replacements. The problem is particularly acute in Uttarakhand where at least out of five BJP MPs — General BC Khanduri and BS Koshiyari — have said they will not contest the 2019 elections. The same is the case with Vidisha represented by Sushma Swaraj and Jhansi where Uma Bharati became an MP. Both have said they will opt out in 2019. In the Congress, the situation is a little different. The party spokesperson Priyanka Chaturvedi has said she wants to contest from Mumbai. Maharashtra leader Ashok Chavan would prefer to fight the assembly elections and wants his wife to contest the Nanded Lok Sabha seat which, from all accounts, he has all but wrapped up, via a deal with the Majlis e Ittehad ul Muslimeen (MIM). And in Tamil Nadu, while Dravida Munnetra Kazhagam (DMK) leader Stalin might have crowned Rahul Gandhi his party’s choice for PM, the party is not in a mood to concede too many seats in the Lok Sabha. But the upside is, former prime minister Manmohan Singh might get to represent Tamil Nadu in the Rajya Sabha: An offer has been made, as his term as MP from Assam comes to an end next year. So expect a big upheaval but the bottom line is: the Congress which was ruled out of all races as politically unbank-able has now entered the ring as well.